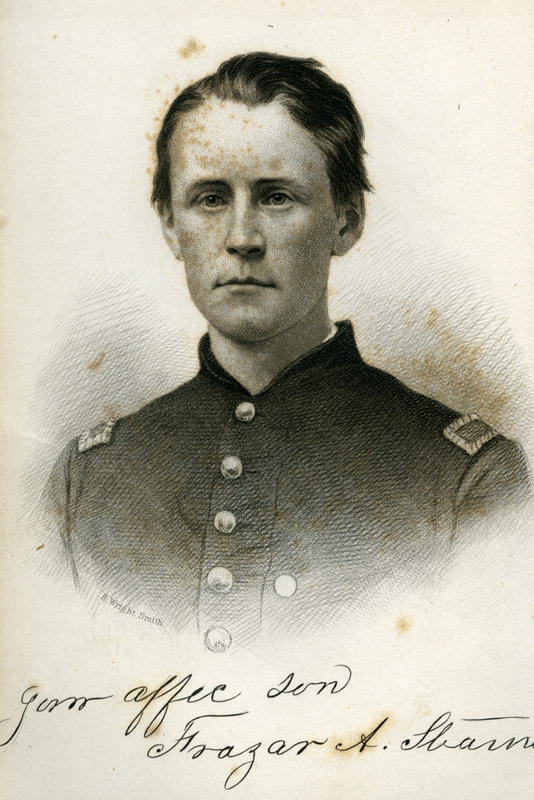 Portrait of Frazar Stearns shortly before he was killed in the battle of Newbern. The photograph was for his parents (Amherst College President William A. Stearns and Rebecca Alden Frazar Stearns) as the signature underneath reads, "Your affec. son, Frazar A. Stearns." Emily Dickinson wrote a letter to her Norcross cousins in which she states "brave Frazar, killed at Newbern...his big heart shot away by a 'minie ball.'" “Portrait of Frazar Stearns in military uniform,” Digital Amherst, accessed April 21, 2019, http://digitalamherst.org/items/show/962.